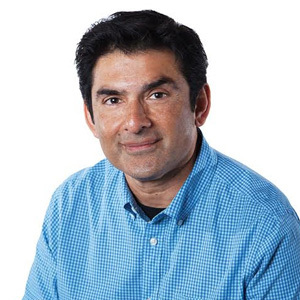 In the mid-1990s, Subrah Iyar, now CEO of Moxtra brought communication and collaboration to the PC era when he created cloud computing, and founded WebEx. After his company was sold to Cisco in 2007, Iyar reexamined the collaboration space and recognized that the current technology trends were moving toward mobile devices and mobile workers. What was needed, he realized, was a solution that would be mobile-first, embeddable, and secure. Mani Kadir, VP of Strategic Alliances for Moxtra, sees a broad calling for the company. “We fit into every technology vertical that has a need for people to collaborate.” To fulfill a wide range of communication and collaboration requirements, Moxtra approaches partnerships in a couple of main ways. The first is the simple white-labeling and reselling of its “out-of-the-box” collaboration application. This can also be customized to connect into larger client’s existing cloud infrastructure, should this be a major need. The second is its selection of various Software Developer Kits (SDKs) and Application Programming Interfaces (APIs) which can be fully customized and integrated into a client’s mobile, desktop, or web application. Moxtra employs a series of layers, or modules of SDKs that enable such features as in-app messaging and file sharing, the ability to record audio and make annotations on a document as well as adding signatures and whiteboarding; powerful meetings that can be joined and hosted from any device, and even by non-app users from a browser. Moxtra’s components are designed to be not just mobile-friendly but mobile-first, operable across a wide range of platforms, but the other design fundamental is security. Both data in transit and data at rest are encrypted with military-grade encryption. Geofencing to limit movement of data is also available for top-tier clients that require it, such as government agencies. When Moxtra apps are embedded into a client’s platform, the client can seamlessly administrate and assign users to appropriate roles and access levels. As Moxtra looks ahead, Kadir says the focus will be on optimization and growth. “We’ve spent the past few years adding features. Now we’ve been in the process of further strengthening our infrastructure so that we can continue to easily meet any need any of our partners has. We’ll also continue to be examining strategic vertical-specific partnership solutions for sectors like healthcare, government, and omni-channel services where security and instant collaboration is paramount.” Regardless of specific strategy, Kadir says Moxtra will remain a company that creates solutions, not products.